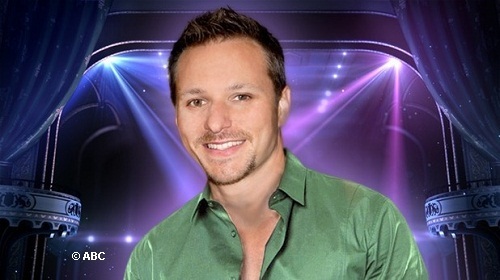 Week three of “Dancing With The Stars” said good bye to another former pop star, former member of 98 Degrees with brother Nick Lachey, Drew Lachey. He and his partner Anna Trebunskaya were sent home. Lachey does not have any regrets about competing in the show for a second time. He explained how much fun it is to do and that is why he came back for a second season. Helio Castronaves and Chelsie Hightower were also eliminated from the competition. Last week, Bristol Palin failed to impress the judges when she embraced her inner country girl; this week was a different story. She danced the Paso Doble with her partner, Mark Ballas. The judges were happy with their performance; Len Goodman told her it was her best dance yet. The successful performance could have been a result from some aggression that occurred during rehearsals between the pair. In tears, Bristol told Mark she felt as if “he was bummed to have her for a partner and it is affecting him”. Apollo and his partner, Karina Smirnoff danced the Foxtrot which earned them a score of 25.5. Carrie Ann adored the performance telling them: “I think that is one of the most memorable dances we are never going to forget”. Melissa Rycroft and Tony Dovolani danced the Samba. The performance was stellar. They nailed it! It was entertaining, fun and possessed killer chemistry. Len Goodman described it like a can of cola “fizzy and refreshing”. The couple earned a total score of 27. Sabrina Bryan and Louis Van Amstel sexed it up with a performance to “free your mind”, which earned them a total score of 25.5. Next week will incorporate a twist in the competition because tonight the contestants chose dances for each other.